Cate began working in real estate in 2002 and has built a very successful career selling and listing homes in Larchmont, Mamaroneck and New Rochelle. Cate's professional background and passion is marketing. She received a BA from Duke University and an MBA from the University of Texas. Her previous corporate experience includes advertising positions with Chiat/Day and J. Walter Thompson, National and Regional Marketing Manager for a PepsiCo company, Director of Marketing for the Alliance Francaise/NYC and Director of Marketing for the U.S. Fund for UNICEF. 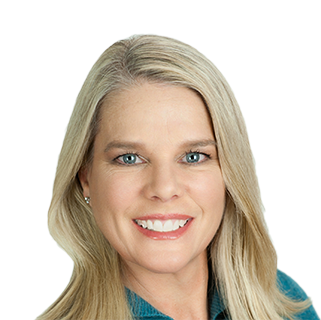 Cate's corporate background has provided her with a strong marketing sense, solid negotiating experience and keen communication skills, all critical skills that she utilizes to help facilitate each and every real estate transaction. Primarily, Cate regards her role as that of consultant and trusted advisor to her clients. Holding herself to the highest of standards and highest level of integrity, Cate believes in listening to her clients' needs and working together to achieve successful results. Her goal is to share and apply her knowledge of the real estate market, educate, advise and help her clients make decisions that are in their best interest. Having relocating five times over a ten-year period both internationally and domestically, Cate understands the logistical and emotional issues associated with moving. She is there to assist her clients and their families at each step of the process. Having lived and worked in South America, Cate is fluent in both Spanish and Portuguese. She also has a working knowledge of French. Cate and her husband moved to Larchmont in 1998 from New York City. Their two children are graduates from the Mamaroneck public school system. Cate is an active member of the community, having served on the PTA Executive Board, as a Board Member of the Larchmont Historical Society and on the Board of the Larchmont Newcomer's Club. We recently had the pleasure to work with Joan Capaldi and Cate Jarrett on the sale of our home as well as the search for our new home. Joan and Cate were superb! They are a team that always puts their client’s needs first and are incredibly understanding and accommodating. Their depth of market knowledge and their real estate acumen made it an effective and successful outcome for us. They were patient throughout, highly professional and simplified a process that is normally complex and stressful. We definitely chose a winning team!! We had the pleasure of working with Cate this past year when we decided to sell our home of 25 years. Needless to say, it was a very emotional time for us, and Cate guided us through the entire process in a professional, caring, low key manner that enabled us to sell our home quickly. She was with us every step of the way from the initial meeting to helping us find the necessary repair persons needed to get the house in sale condition, to arranging for us to meet with a stager, to organizing the house showings, to negotiating our sale. Her responsiveness to all of our questions and issues, which were numerous and ongoing, was always immediate. We were very satisfied with our relationship with Cate throughout the entire process. We had the pleasure of working with Cate this past year when we decided to sell our home of 25 years. Needless to say it was a very emotional time for us, and Cate guided us through the entire process in a professional, caring, low key manner that enabled us to sell our home quickly. She was with us every step of the way from the initial meeting to helping us find the necessary repair persons needed to get the house in sale condition, to arranging for us to meet with a stager, to organizing the house showings, to negotiating our sale. Her responsiveness to all of our questions and issues, which were numerous and ongoing, was always immediate. We were very satisfied with our relationship with Cate throughout the entire process. Cate worked with us to successfully sell our home in 2015. She was patient, knowledgeable and professional, but also kind and considerate. We highly recommend her and without hesitation. Cate Jarrett is simply the best real estate agent I have ever met! She is efficient, professional, intuitive, and unflappable. Selling my home of fifteen years was emotional and exhausting, but Cate and her partner Joan Capaldi got me through the process -- in a difficult housing market -- with flying colors. Cate. worked with me every step of the way. She mapped out a course of action on how to get my house ready for sale, instructing me in great detail on what needed to be done and when. She was great with follow up, making sure I was on schedule. And she was invaluable in helping me with her Rolodex of handyman and other service providers, so I could get my house spruced up and market ready. When it came time to put my home on the market, her expertise on the market and market conditions was invaluable in pricing my home so that it would sell quickly. And it did. Cate and Joan personally hosted open houses every weekend my home was on the market. And, again, working as a team, their follow up was 110%. Cate's follow up and commitment to me continued even after I had accepted an offer on my home: She went way beyond the call of duty and found a service to clean out my home. And Cate continued to follow up by monitoring the clean out of my home to make sure it was ready for the closing. Cate and Joan's positive spirit inspires confidence and brings much-needed comfort during a stressful time. They are truly a dream team.